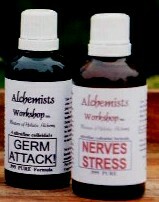 NERVE STRESS RELIEF BIG TIME - also now in Money Saving 100ml. and 200ml. Smooth the STRESS AWAY. NERVE/STRESS 100ml. If you need it....Then you HAVE TO BUY IT!.......Because it works! Totally relieves pain from stress. Neck, shoulders, back and head. An effective relaxant reminiscent of banned weed. Very calming, providing a warm like cocoon feeling of contentment. Totally safe non drug alternative or habit forming, because its not a pharmaceutical drug or banned substance. There is no fuzzy feeling or any disjointed feeling. Just nice and calm and relaxed. 100% all natural organic Ultrafine Colloidal Formulated Specific Treatment Full of Super Colloidal GOLD and other colloidals..